Euroleague Basketball is pleased to announce that point guard Nick Calathes of PBC Lokomotiv Kuban Krasnodar has been selected as the Eurocup MVP for the 2012-13 season. Calathes, 24, has been Lokomotiv's floor general and most important player on its way to the final, which will take place on Saturday at the RTL Spiroudome in Charleroi, Belgium. Thanks in no small part to the leadership of Calathes, Lokomotiv has a chance to lift its first international trophy when it faces Uxue Bilbao Basket of Spain in the title game. Calathes set a Eurocup record by becoming the first player to dish more than 100 assists in one season during the competition's 11-year existence. In addition, ranked second on Lokomotiv in scoring, rebounds, steals and fouls drawn. Calathes stepped up in key moments throughout the season, but he was truly exceptional in making everyone on his team better so that together they could lift Lokomotiv to new heights. His all-around excellence, consistency and leadership all combined to make Nick Calathes an ideal choice as Eurocup MVP. 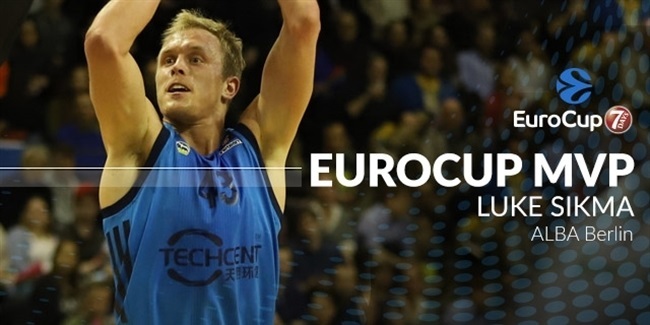 The Eurocup MVP is part of an awards structure that recognizes the finest Eurocup players for their efforts on the basketball court throughout the season. Calathes's selection was made by a panel of Euroleague Basketball's in-house experts based on his and his team's performance during the Eurocup regular season, Last 16, quarterfinals and semifinals rounds. Statistics and performance index ratings were taken into consideration for the award, but did not alone determine the winner. Calathes joins 2012 MVP Patrick Beverley of Spartak St. Petersburg, 2011 MVP Dontaye Draper of Cedevita Zagreb, 2010 MVP Marko Banic of Bizkaia Bilbao Basket and 2009 MVP Chuck Eidson of Lietuvos Rytas on a select list of Eurocup stars to win the award. His great season started early, as Calathes showcased his talents throughout the regular season. He pulled down 10 rebounds against BC Donetsk, dished 10 assists in a game against Galatasaray Medical Park and 14 in a showdown against Trefl Sopot, and scored 12 points or more in all games but one of six regular season games. Calathes finished the regular season with averages of 14.7 points, 6.5 rebounds and 6.5 assists to lead Lokomotiv to first place in a tough group. Once in the Last 16, Calathes kept excelling, with 12.2 points, 5.7 rebounds, 8 assists and 2.2 steals per game, as Lokomotiv sealed its ticket to the quarterfinals sooner than any other team. Calathes showed his character again in the elimination rounds. With his team trailing 28-25 at halftime of quarterfinals Game 1 on the road against Buducnost Voli Podgorica, and despite his own performance index ranking of -5 at the break, Calathes shined in the second half, finishing the game with 15 points to lead Lokomotiv to an 18-point win. Lokomotiv went on to sweep the series. Once in the semifinals against Valencia Basket, the series tied with 5 minutes left in Game 2 before Calathes scored 7 of his 19 points in crunch time to send Lokomotiv to the title game. Calathes, a former Euroleague champion with Panathinaikos Athens, joins a list of 2012-13 Eurocup award winners that includes the best players and coach in the competition this season. Bojan Dubljevic of Valencia Basket was selected as the 2012-13 Eurocup Rising Star Trophy winner. Fotis Katsikaris of Uxue Bilbao Basket was named Eurocup Coach of the Year. 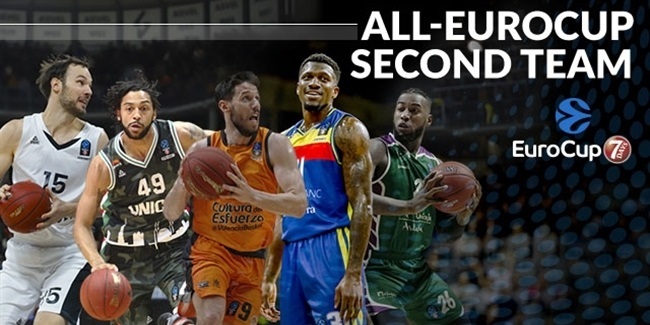 Calathes also highlighted the All-Eurocup First Team alongside fellow stars Malcolm Delaney of BC Budivelnik Kiev, Kostas Vasileiadis of Bilbao, Justin Doellman of Valencia and John Bryant of ratiopharm Ulm. 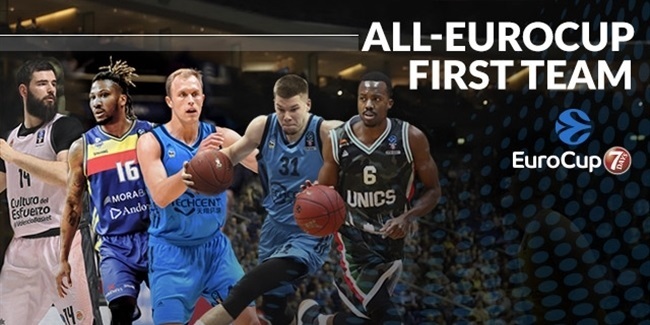 The All-Eurocup second team features Walter Hodge of Stelmet Zielona Gora, Chuck Eidson of Unics Kazan, Calathes's teammate Derrick Brown, Lamont Hamilton of Bilbao and Loukas Mavrokefalidis of Spartak St. Petersburg. The last of the awards, the Eurocup Final MVP trophy, will go to the best player at that event as voted by accredited journalists in attendance during the title game.